Let me introduce a story from a Japanese blog that I often read again today. It was about an amazing washing machine found in a pet shop! Anyway, please take a look at the picture. This is a washing machine found in a pet shop. 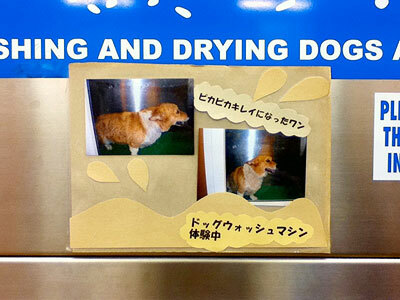 It is actually a dog washing machine. and 550 yen (about US$7) for additional dryer. It is easy for us, but it must be a horrifying 35 minutes for dogs. I have a cat. The cat hates to be washed, so this kind of machine would be useful for me. 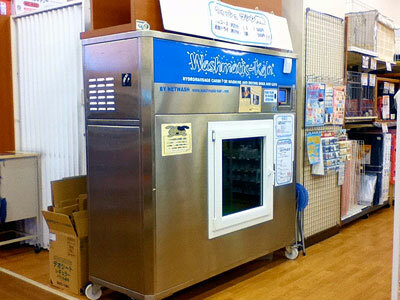 Do you have this kind of machine in your country? Please me more and more comments! You can post comments on Japan Style on facebook. Please post anything such as about your proud pets and so forth!